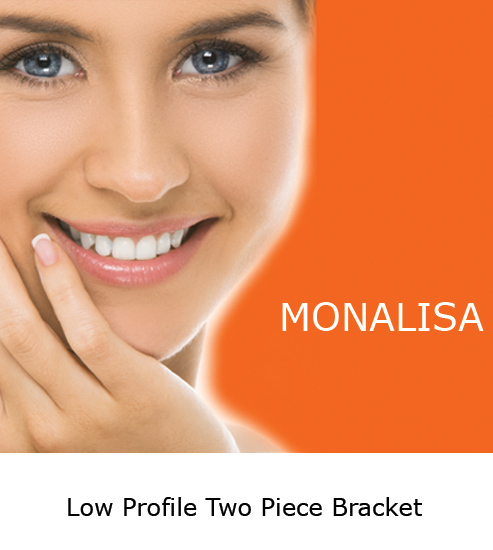 Monalisa Bracket – Low Profile Two Piece Bracket. 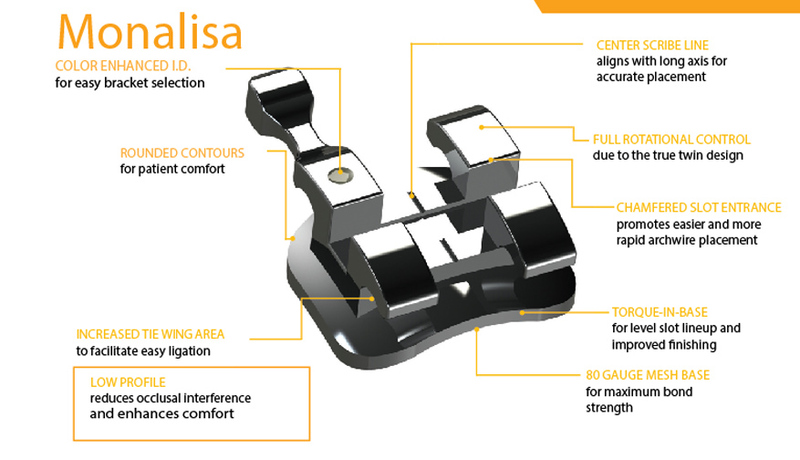 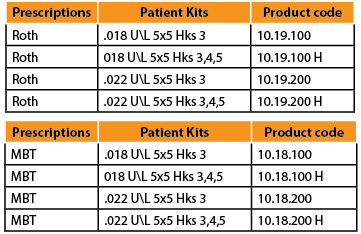 The low profile design provides comfort for patients. 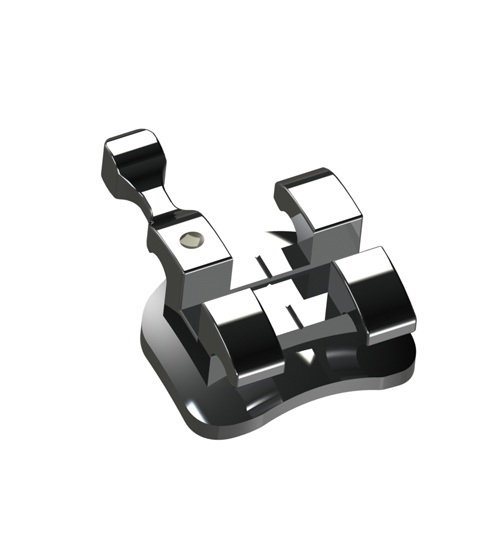 The bracket is less bulky in size . 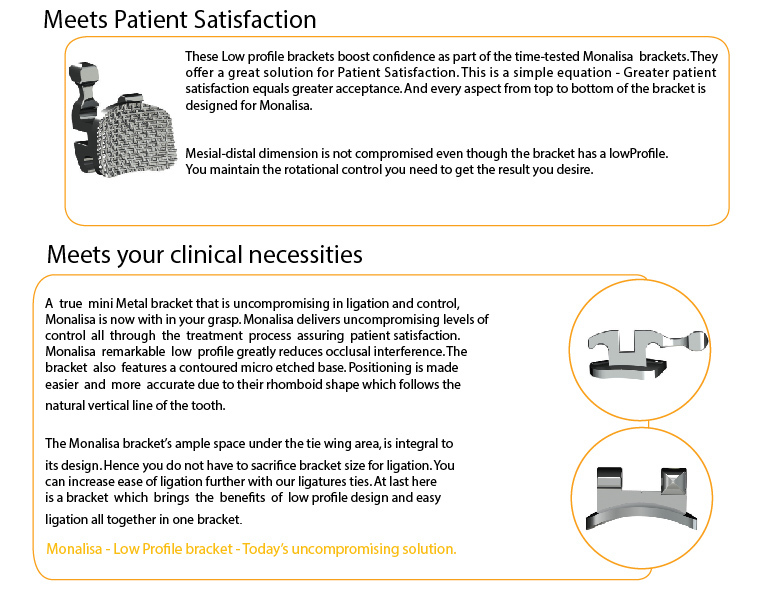 Less occlusal interference.